Bishop & Hancock's Pulse Fiction by Tommy Hancock et al - Reading Room - Craxme.com - Powered by Discuz! A two fisted,gun toting Private Eye! A Member of the French Foreign Legion waist deep inIntrigue! A Lady with a taste for Diamonds and Danger! Heroes many have thoughtlost to yesterday now blast their way into today in BISHOP AND HANCOCK’S PULSEFICTION! A Concept conceived by noted author Paul Bishop and contributed to byauthor and publisher Tommy Hancock, PULSE FICTION takes the best of the pastand shakes and stirs it with today’s finest Genre Fiction writers! Encounter a cast of characters created by Bishop and Hancockand written into four color, over the top life by Eric Beetner, Barry Reese, D.Alan Lewis, Brian Drake, James Hopwood, and Hancock. 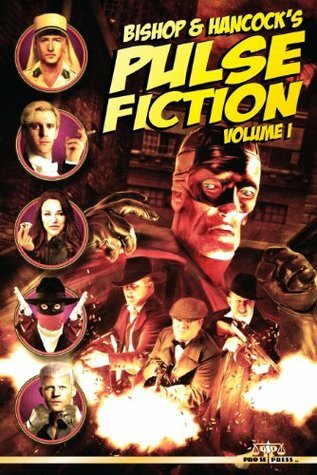 Just like the bygonemagazines of the past, PULSE FICTION brings rich, vibrant characters embroiledin death defying adventure to readers, characters that will return in latervolumes crafted by these and a whole myriad of other authors! Want stories thatwill get your heart racing, your blood pumping? You’ll find them here.power,money and courage are out to claim them. Turmoil, conflict and distrust, theideal environment for a skilled assassin to leave his mark! However, the LittleRose is not alone. After he assassinates a popular senator, he finds himselfhunted by an unknown depraved psychopath. Ever confident in his deadly skills,the Little Rose is put to the test when he comes face to face with themachete-carrying killer.